Google+ is rising to the top of the social media ranks, despite their relatively shaky Beta start. If your business isn’t already on Google+, I highly suggest that you create a profile right now. Creating a Google+ profile will boost your search rankings, if you optimize your profile and publish relevant, new, and engaging content. After some intense calculator work, I deduced that we could potentially engage with 541,549 Google+ members on a daily basis. Let’s say that half of these Google+ members are involved in the same groups as we are, that still leaves 270,774 members… That’s 1/4 of a million people! Google+ Communities are a great way to both find and share content. Now, there’s a hole-in-one! Use your database of company keywords and research these in the search toolbar; join any relevant communities and start engaging! Recommendation: Do not continuously post company updates, blog posts, or branded media. 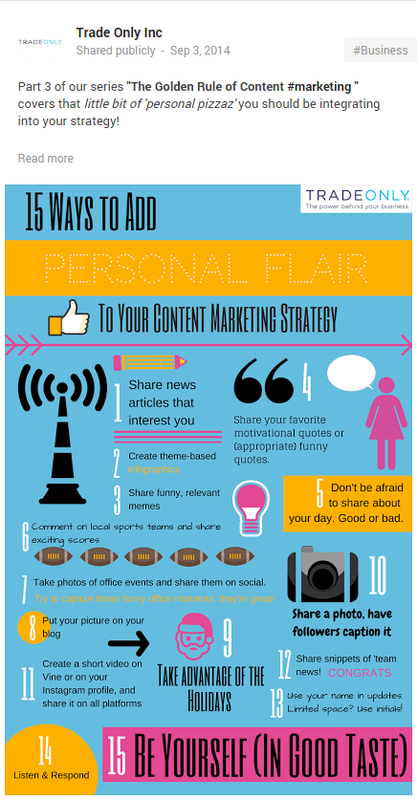 Exemplify your ‘team spirit’ by sharing relevant content in your respective communities. It may help to make a list of your communities and identify relevant keywords. After each blog, identify which communities would benefit from your content and post your blog link with an engaging preface. As with all social media platforms, your profile looks extremely boring if you only post blog links or you only post YouTube videos. Diversify your content! Post pictures, videos, blog links, infographics, memes, and GIFs. 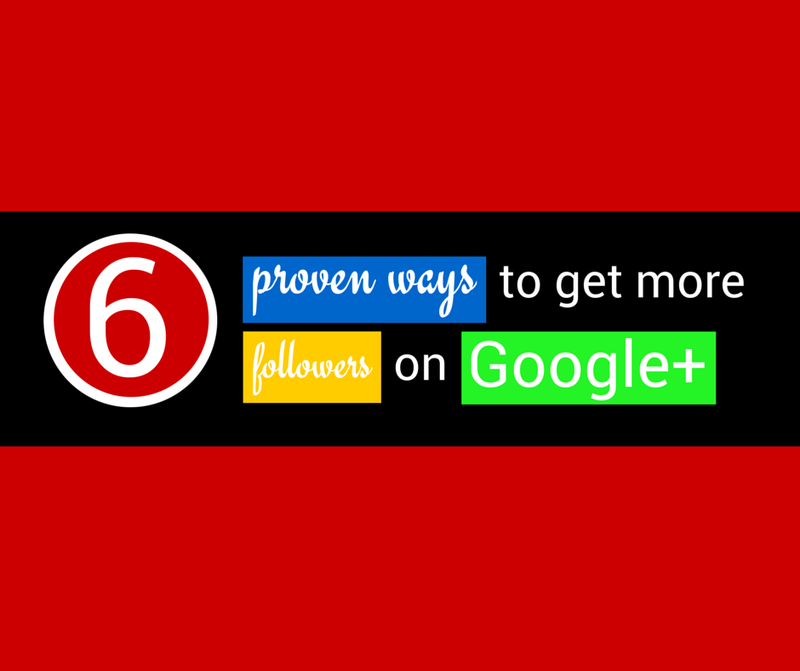 The more diverse your content, the more engaging your Google+ page will be. As many of you know (or if you didn’t, you will soon find out), Google purchased YouTube years ago. Utilize YouTube to promote your business, engage your customers, and make life-long customers. One of the most common mistakes made with small businesses on Google+ is that they forget to review the settings section. That’s okay, we all make mistakes. But, take a minute right now to review your settings. 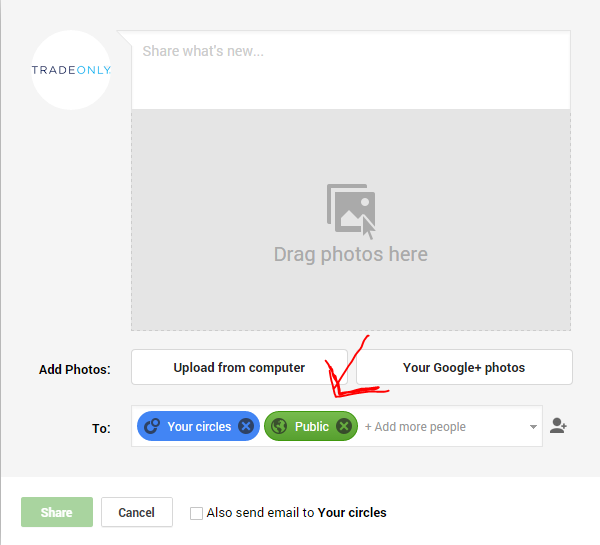 Make sure that all of your Google+ posts are set to share with the ‘public’; this will ensure that Google+ users don’t have to follow your profile in order to see your status updates. Hashtags make the world go ’round. Well, the Internet world, maybe. Hashtags help to make your content relevant. When you implement a hashtag into your social media posts (on Facebook, Twitter, Google+, and Pinterest), you help the social platforms index your content in the specified categories. Let’s say you write an article about ‘Social Media Marketing’ entitled 10 Great Tips for Social Media Marketing. When posting this blog to your Google+ page, it would behoove your search results to hashtag the words social media, marketing, and quicktips. You can never have too many #socialmedia tips! Enjoy these #quicktips! 10 Great Tips for Social Media Marketing. Luckily, you don’t have to know HTML to create elegant-looking Google+ posts! Whew! What a relief, right?